About us-Fuxinlong - Zhejiang Fuxinlong Machinery Co.,Ltd. 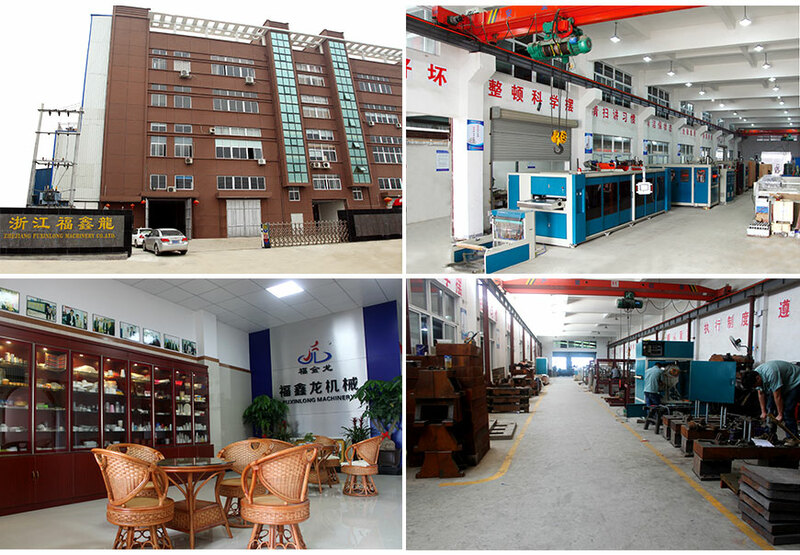 Zhejiang Fuxinlong Machinery CO.,LTD located in Nanbin Street Linyang Industrial Zone,is a professional manufacturer of plastic sheet extrusion line, thermoforming machines,full-automatic three and four stations thermoforming machine in China. After more than 15 years' accumulation, our company has professional technicians and the ability of designing & developing new products by ourselves. And we participated in Chinaplas Fair, Canton Fair, K Show and other professional plastic machinery exhibition at home and abroad. Now our products have been widely used in 62 countries. such as Sweden, Romania, Macedonia, Russia, Canada, Peru, Mexico, Middle East, Southeast Asia, Africa and etc. Our company possesses of strong technology force and perfect service, as well as machine assembling & debugging, personal training, mould design and supply the circumspect service for the clients who have the special requirements of the equipment. Pursuing the international advance level and satisfying the clients expectation is Fuxinlong Company’s quality policy. “Challenge ourselves and create excellent” is Fuxinlong Company’s management idea. Fuxinlong people welcome new and old customers in domestic and overseas to visit our factory for business discussion and developing together!